CJSC "DAKT-Engineering" reverse water supply closed-circuit system launching: new victory for domestic technologies in the sphere of the recirculated water purification and dehydration of the products at the coal preparation plants! In August 2015 the CJSC "DAKT-Engineering" team of specialists finished the assembling and commissioned the reverse water supply closed-circuit system at the object of the Process module of the mine "Taldinskaya-Zapadnaya-1" (Prokopyev district, Kemerovo region) on the basis of own equipment and technologies. The complex includes: equipment for recirculated water purification (lamellar thickeners SP-500) and equipment for washed products dehydration (belt thickeners and belt plate-presses). Supply package has all necessary fitting for continuous work, including pumping group, automatic equipment, and compressor equipment. Lamellar thickeners are designated for recirculated water purification from suspended particles and clay. At the PM (Process module) "Taldinskaya-Zapadnaya-1" there are two lamellar thickeners SP-500 in operation, their overall productivity is 1000 m3/h. Lamellar thickeners produced by CJSC "DAKT-Engineering" are made from the high-quality stainless steel, which guarantees their long life duration (more than 20 years). Parallel plates stacks for sedimentation process intensification are inbuilt into the lamellar thickeners constructions; this allows to use the equipment in small-sized production units, where the installation of radial thickeners with the similar productivity is impossible. The quality of the recirculated water clarification in the lamellar thickeners significantly exceeds the radial thickeners parameters. The overfall purity from the lamellar thickeners SP-500 at the process module of the mine "Taldinskaya-Zapadnaya-1" doesn't exceed 100 mg/l, at the content of solid in lamellar thickener supply not more than 50 g/l. That is, the concentration of suspended substances in the overfall from the lamellar thickeners is in 500 times lower than the concentration, supplied at the inlet (that in 50 times exceeds the parameters of clarification at the radial thickeners). Easiness of automation corresponds to the benefits of the lamellar thickeners before radial ones. 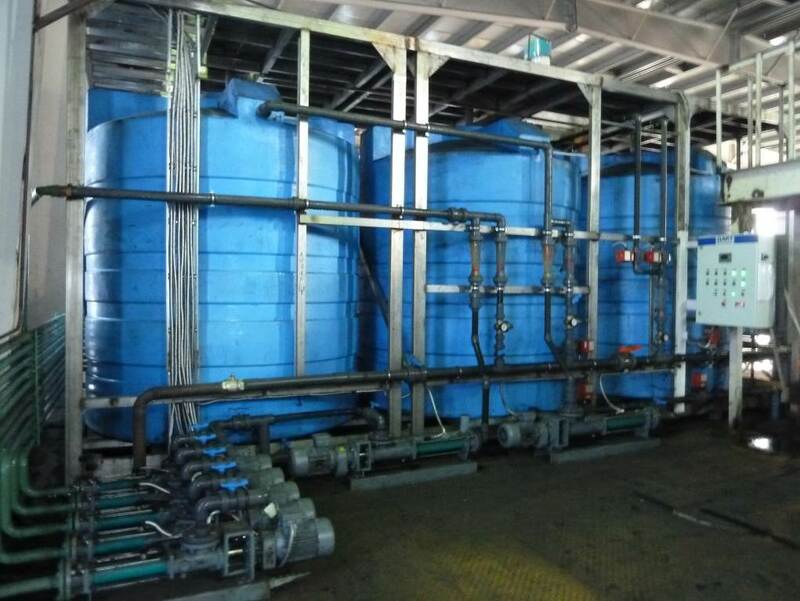 With the help of CDM&A devices, the regulation of the lamellar thickener unload, necessary degree of the product thickening and overfall purity is carried out. 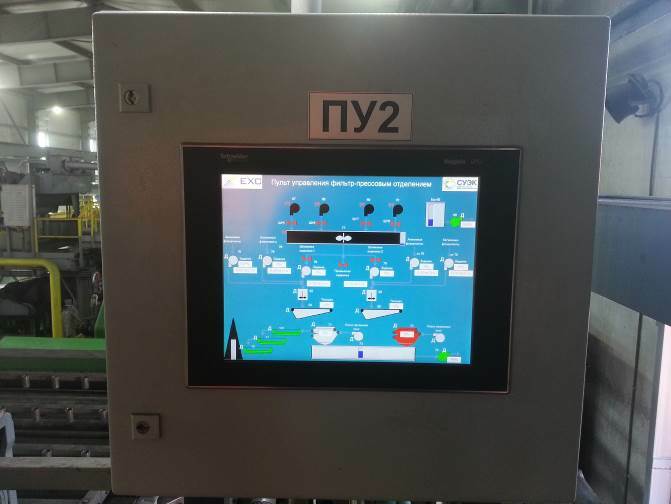 Due to the automation system, implemented with the CJSC "DAKT-Engineering" specialists at the PM "Taldinskaya-Zapadnaya-1", the recirculated water purification and coal washing products dehydration processes are performed in automatic mode. Application of the CJSC "DAKT-Engineering" high-productive and highly-precise automated installations for flocculants preparation allows to prepare flocculant solutions in precisely specified concentration and to supply it into the technological processes according to the required dosage. After the thickening in the lamellar thickener, the coal washing products are supplied at the CJSC "DAKT-Engineering" dehydration lines. 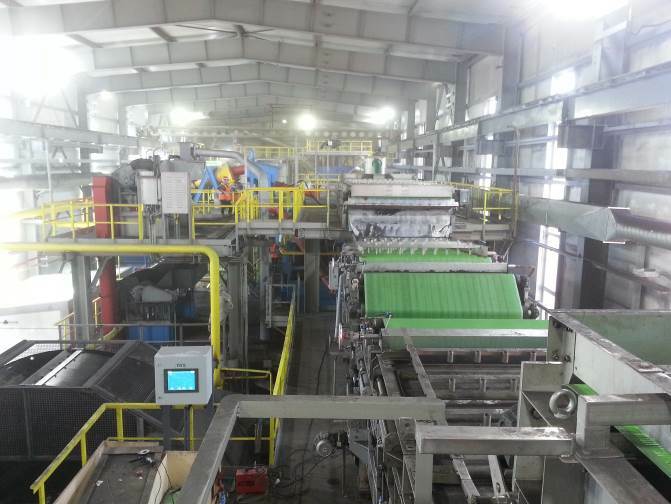 Two dehydration lines at the basis of the belt thickeners SGP-2500 and plate-presses FPP-2500, with productivity 25tDS/h each, are operated at the PM "Taldinskaya-Zapadnaya-1". 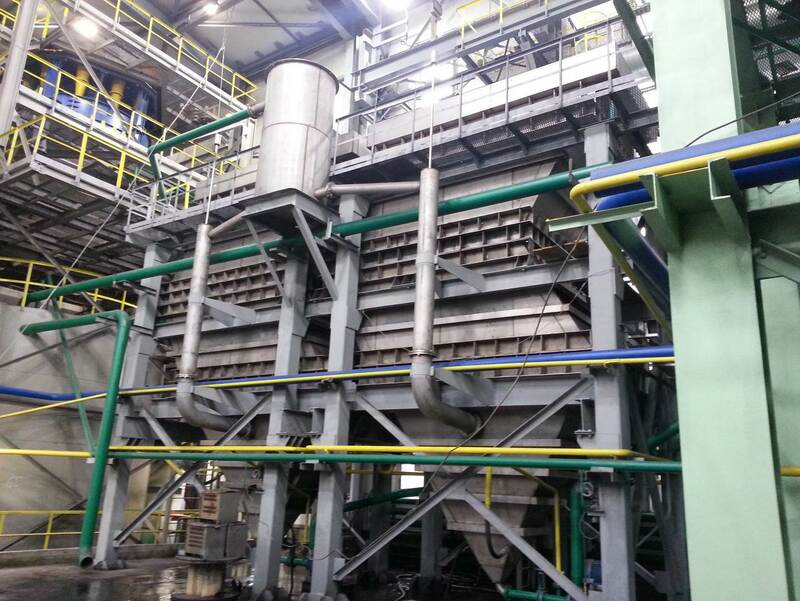 The dehydrated coal washing product humidity after dehydration at the CJSC "DAKT-Engineering" plate-presses is not more than 26%, this is the best parameter in comparison with the dehydration results at the analogous equipment of the other manufacturers. All process mediums at the module are pumped with the pumping equipment of the CJSC "DAKT-Engineering" production. DAKT pumps are developed for application in more complicated conditions, have long service lifetime and minimum commissioning expenses, they are applied for pumping all types of settlings, residuals and products. CJSC "DAKT-Engineering" is actively implementing new optimized automated technological schemes of dehydration and recirculated water purification at the plants of the mining and concentrating industries. Among our customers there are leaders of the mining and concentrating industry: CM (Concentrating Mill) "Kuzbasskaya", CJSC CM "Raspadskaya", CM "Belovskaya", Ore mining and processing mill "Tomusinskaya", JSC "ZSMK", CM "Abashevskaya", CM "Berezovskaya", CM "Listvyazhnaya", CM "Mine named after Kirov", CM "Chernomyrdin", CM "Chernogorskaya", CM "Komsomolets", PM "Taldinskaya-Zapadnaya-1", CM "Tugnuyskaya" and many others. Contract parameters on equipment productivity, technological parameters, dehydrated settling humidity parameters were achieved at all objects. All objects are provided with the necessary component parts and spare parts; they have guarantee and post-guarantee maintenance. For more than 25 years CJSC "DAKT-Engineering" is one of the leading companies, working in the sphere of production and delivery of the equipment for recirculated water purification and for dehydration of residuals and settlings in various industrial fields. CJSC "DAKT-Engineering" has all necessary conditions for effective work: project office, construction department, plant, chemical and technological laboratory, commissioning and start-up service, service centre, rapid mobility service, warehouse in Moscow and Moscow region. We are always ready to answer to your questions and are opened for cooperation!